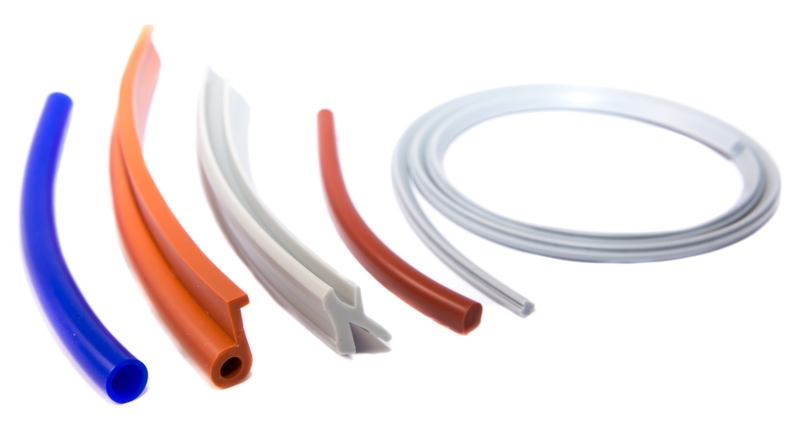 Rubber extrusions are used to create objects of a fixed cross-sectional profile. A material is pushed or pulled through a die of the desired cross-section. The main advantage of this process is its ability to create very complex cross-sections. Eastern Seals can provide round, square and rectangular rubber extrusion sections through to complex shapes with internal bridge work. Using the best quality materials and low set up cost ensures that you benefit not only from high quality and high performance materials but also closely controlled costs and timelines. We supply industries as diverse as food and pharmaceutical, building, transportation, marine and defence. Rubber extrusions are suitable for many applications including marine, motor vehicles, fork-lift trucks, factory walls, loading bays, container door seals & channel edging strips.